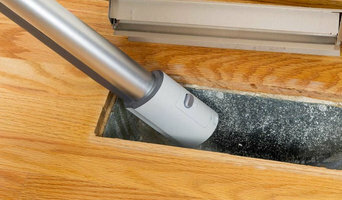 AInsulation is the most reliable name in attic cleaning in Riverside. We offer the best services in attic cleaning, duct cleaning, insulation removal and more. *Come visit the NEW Swank Design Showroom! * Interior designer Raelena Vasquez is a Southern California Native. Her love of design started at an early age, as she was quickly intrigued by business and manufacturing coming from an entrepreneurial mother and father. She studied fashion at FIDM in Los Angeles and later studied at UCR for Interior Design. Raelena has a design aesthetic that combines a style of modern chic with timeless classic contemporary beauty. She attributes her design influence to her travel experiences around the world, coupled with a classic California lifestyle. Raelena has a diverse design background in fashion and furniture design as well as residential and commercial interior design projects. Her design diversity has lent itself to many types of design projects from hair salon design to new home building projects. Her attention for detail and ability to create clients dream spaces is her passion. Raelena understands the desire to have a beautiful living and working environment that doesn’t compromise for comfort and functionality for everyday busy lives. A home styled by Simply Staging by Sara invites buyers into your home creating a lifestyle that buyers will be experiencing. Although we can't change a homes location, we highlight all the best features of your home. 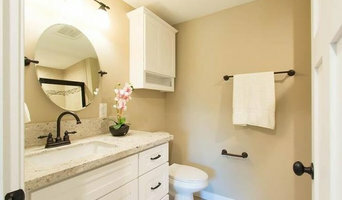 Staging your home will increase your chances of buyers experiencing an emotional connection to your home and getting it sold for top dollar! Xavier Design Group is a Riverside Based modern creative design studio. 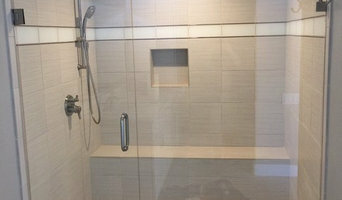 We specialize in all aspects of residential design, including new construction, complete home renovations, room additions and interior alterations. Designing and building home can be a complicated process, with many design options. Our objective is to make it less complicated, while presenting you with creative solutions that you might never have considered. At its highest and best, an interior conveys a visual narrative about the life and interests of its owners. At Willetts Design & Associates we are earnest in helping clients realize their deeply-held vision of home, creating spaces that are not only aesthetically pleasing, tactile and welcoming but also effortless in their sense of ease. Whether you prefer modern comfort or timeless tradition, the Willetts Design & Associates team innovates creative, original solutions. Do you envision a private sanctuary, comfortable shelter, gathering place for family and friends or all the above? The ﬁrm deftly synthesizes sound design principles with physical and budgetary parameters to create something more. Blending the beautiful with the practical, we combine ﬁne design and craftsmanship with harmony, color, scale and proportion. Willetts Design & Associates is a full-service interior design ﬁrm offering everything from complete interior design services and architectural speciﬁcations to art consulting and curation. While we specialize in custom residences, our team is available to work on commercial projects. Willetts Design & Associates has completed projects across the country, including Los Angeles, Chicago, Seattle, Canada and the Palm Springs area. We help shape the place where our clients’ aspirations come to life. And in so doing, their homes embrace and protect, complement and enrich their day to day experience. Reach out to multiple professionals — especially for larger projects — and don't settle for the first bid you hear. Comparing multiple Beaumont, CA professionals' bids and experiences can help you find the one that’s best for you. Ask a lot of questions now, so you won't have unexpected answers later. Find a home design professional on Houzz. Narrow down your search by type of professional and location. Browse Beaumont, CA portfolio photos, read client reviews and contact each Beaumont, CA professional for more information. Check out the information in the specialized professional sections too for tips on how to hire the right professional for your project.